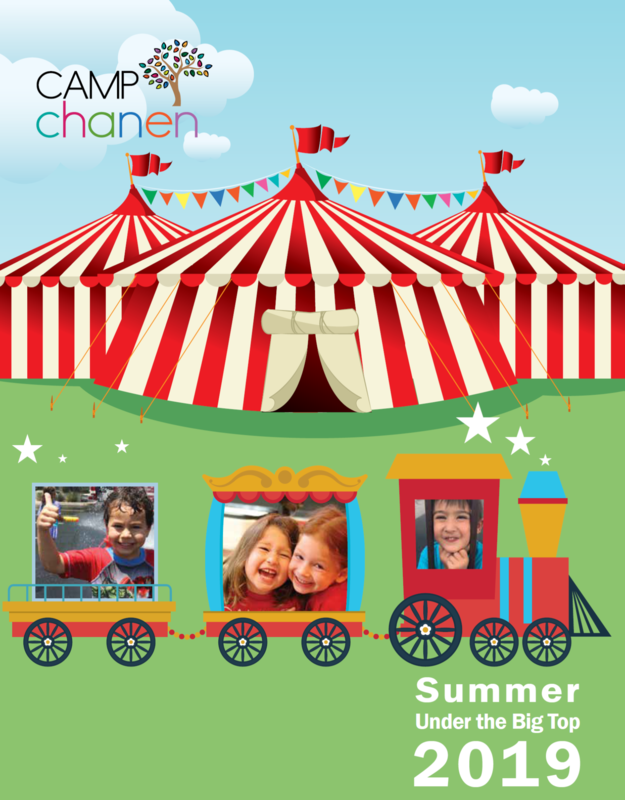 Welcome to Summer Under the Big Top at Camp Chanen! Camp Chanen offers a fun-filled summer of adventures for campers aged 6 weeks through entering 3rd Grade. Students are sure to love each Special Visitor, Field Trip and the numerous activities offered each week. At Congregation Beth Israel’s Camp Chanen, your camper will laugh and play on the Splash Pad, create beautiful projects during Art, participate in Yoga, and sing during Music and Movement. Campers celebrate Shabbat with our Clergy each Friday morning, too. This is just a snap shot of all the wonderful experiences your child will have each week. There are surprises around every corner that will spark your camper’s imagination. Throughout the summer, campers utilize the entire CBI campus. Camp Chanen hosts younger campers in the Chanen Preschool building and older campers in the Haberkorn Religious School. Transformed into an Indoor Playground, Congregation Beth Israel’s Ballroom offers campers an escape from the heat. Along with time spent on the Splash Pad and in our ample classroom space, Camp Chanen is a wonderful day camp experience for all ages! Thank you for your interest in Camp Chanen! Please do not hesitate to call (480) 951-3398 or email jordan@cbiaz.org with any questions. View Camp Chanen Summer Guide 2019.